Everton’s Deputy Chief Executive has become the only UK sports leader to be shortlisted for a prestigious award at the international Stadium Business Awards 2015. 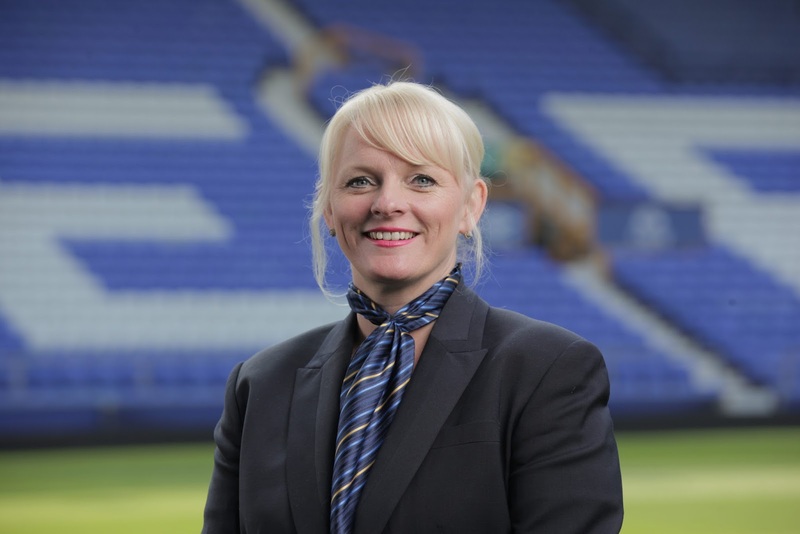 Denise Barrett-Baxendale, who is also Chief Executive Officer of Everton in the Community, has been shortlisted as a finalist in the Executive of the Year category alongside global sports leaders from Baltimore Ravens, LA Dodgers and Maple Leaf Sports and Entertainment, among others. Launched in 2010, The Stadium Business Awards recognise leadership, innovation and achievements in the global sports and stadium industry, and the winners will be announced at a gala dinner at FC Barcelona’s Camp Nou stadium on Wednesday June 10. Denise commented: “It is a great honour to be nominated in this category alongside such prestigious international peers from across the world of sport. In her dual role at Everton, Denise directs the non-football operations side of the club and its direct charitable engagement with the local community. Since her appointment as Chief Executive Officer of Everton in the Community in January 2010, the charity has received a plethora of local, national and international award wins in recognition of the life-changing work it undertakes on a daily basis. Meanwhile, Denise’s Club position sees her working to improve fan engagement, the matchday experience for supporters and raising standards within the club.